Even cremation leaves a toxic footprint as chemicals, such as CO2 and mercury from filings in teeth, are emitted into the air during the burning process. “I just thought that there has to be a better option than what we’re doing now. Some people are jittery about talking about anything to do with death, but we are hoping that this will get the conversation going,” local environmentalist and founder of the Good Green Death Project Susan Koswan said. “Funerals are changing and we are moving more towards a celebration of life rather than a dressing-in-black event. We have to re-think the whole idea of funerals and burials and see what works for us as a community,” she said. Many people like the idea of becoming a tree after they die, but products like the BiosUrns, which put your cremated remains in a biodegradable urn with a growth medium and a tree seed can’t legally be used. Koswan said. “You just can’t bury human remains, even if they are cremated or composted, in your back yard,” she said. 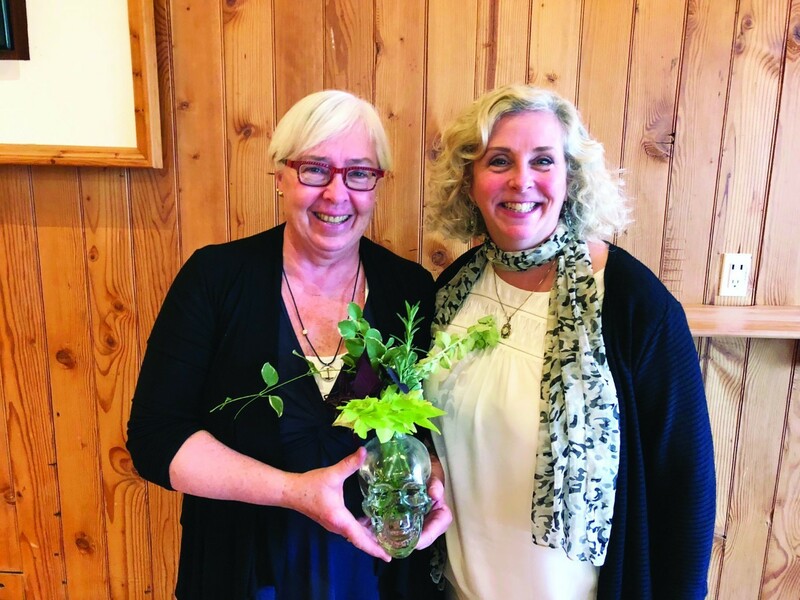 But Koswan, and Brampton area funeral director Ellen Newman, who is also a Director with the Green Burial Society of Canada, have a new vision. Research on composting human remains, known as ‘recomposition’, currently being conducted at Washington State University, is central to their vision of a large, conservation area containing forests and meadows that would also serve as a burial site and cemetery, and be protected by law from development. The conservation area would include a hospice offering top-notch palliative and compassionate end-of-life care. Part of the hospice would include a facility where the bodies of people who had passed away could be placed into individual composting units. The time it takes to recompose, or compost a body, is still being researched at Washington State University, but Koswan said that when a pig, for example, is put into an environment conducive to creating compost, it takes about a month for the body to decompose to the point that it becomes usable as compost. The composted remains would then be returned to the family of the deceased and they could either use it to plant a new tree to help reforest, be scattered in the conservation area’s forest as fertilizer for trees already growing in the forest, or spread on the pollinator-friendly conservation meadows as fertilizer for the grasses and flowers growing there. The conservation area would be open to the public with public trails and even fruit trees. The possibilities of what could be included in the conservation area are many. Composting human remains is an idea being championed by Katrina Spade of Seattle, who founded the Urban Death Project in 2014 to bring attention to the toxins used in traditional burials. Since then she founded Recompose Life, a Public Benefit Corporation, which developed a patent-pending process that converts human remains into soil. Koswan met with Spade last year before she led a local forum in October on composting human remains. Koswan said Spade had started off with a design to compost everyone together, but has since moved to using individual composting units – which is what Koswan had been working on already. Koswan has been successful in finding a local manufacturer of composting units that can be modified for human use. There are other places around the world trying variations on what Koswan is proposing. At Germany’s Friedwald forest cemetery cremated remains are buried beneath designated trees in the forest, and the Denman Island Natural Burial Cemetery in British Columbia is home to a community cemetery exclusively dedicated to natural burial, returning remains to the earth without the pollutants used in conventional burials, and without the landscaping and concrete vaults used in most cemeteries. No gravestones are used. Instead, natural vegetation is allowed to grow over the burial sites. Human composting studies at the University of Washington State have not yet released any data, Koswan said. “They have people who have willed their bodies to be part of this research. It’s already a well-established practice with animals like pigs and chickens on farms and research I’ve seen shows that the compost produced from dead animals is more nutrient-rich than compost produced just by using straw and manure,” she said. The Good Green Death Project is looking for anyone interested in helping out. ‘”We’re currently looking at the process of becoming a not-for-profit because we’d like to make the process affordable for people. This has all been a great problem-solving project for me, personally, and the idea of becoming a tree in a forest after I die is very appealing to me,” she said. Susan Koswan (left) and Ellen Newman of the Good Green Death Project.